Multiple languages available ... Click here to select yours! Configure, price, and purchase your data acquisition system online. Complete software solutions and programming tools. Contact us for a wide range of technical support and assistance regarding your application. Select your region below to view a list of Regional distributors in your area. Contact us for a wide range of technical support and assistance regarding your application. Use our toll free number and online request form. View/Search our repository of frequently asked questions. Request returns, repairs, exchanges and credits with our online RMA form. Locate factory test data for a specific Dataforth module using a serial number lookup. Online application to request a line of credit with Dataforth. Become a VAR for our Signal Conditioning and Data Acquisition products. In this application, a MAQ20 Data Acquisition and Control System along with DSCA Signal Conditioning Modules, standard sensors, and actuators control the combustion process of a batch fed cordwood boiler to optimum efficiency throughout a burn cycle by means of a draft inducer blower and modulation of primary and secondary air dampers. The MAQ20 relay module, MAQ20-DORLY20, contains 20 relays that may be wired as a 4x5 cross point switch and find valuable use in many applications. The objective of this Application Note is to briefly show how these types of harmonics in a customer’s facility affect utility-measured quantities and costs. Could We Actually Achieve "Warp Speed"? What is this Crest Factor Thing? Experience the MAQ20 in Action! To demonstrate the power of the MAQ20, we have create two real-time demonstrations that you can use and interact with here on our website. Discussion of MAQ20 features and applications. Watch Impulse Corporation demonstrate the MAQ20. Power supplies for Dataforth signal conditioning and data acquisition modules. Use the table below to determine the appropriate power supply for your Dataforth products. 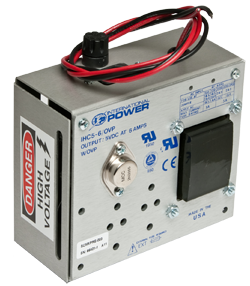 Our power supplies are available for online purchase. To add an item to your shopping cart, click 'Order Info'. Dataforth's library of application notes. Copyright © 1995 - 2019 Dataforth Corporation. All rights reseved worldwide. ISO9001:2015-Registered QMS.